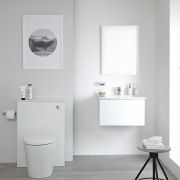 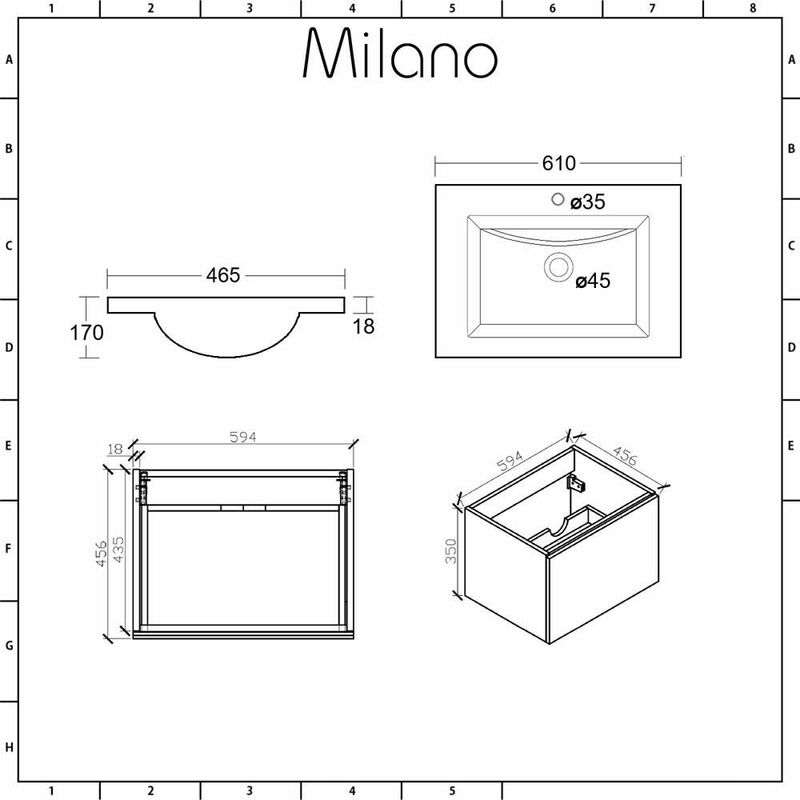 Create a fresh and contemporary look to your bathroom with the stylish wall-mounted Milano Oxley 600mm vanity unit and basin. 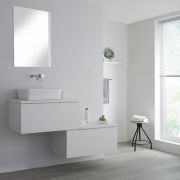 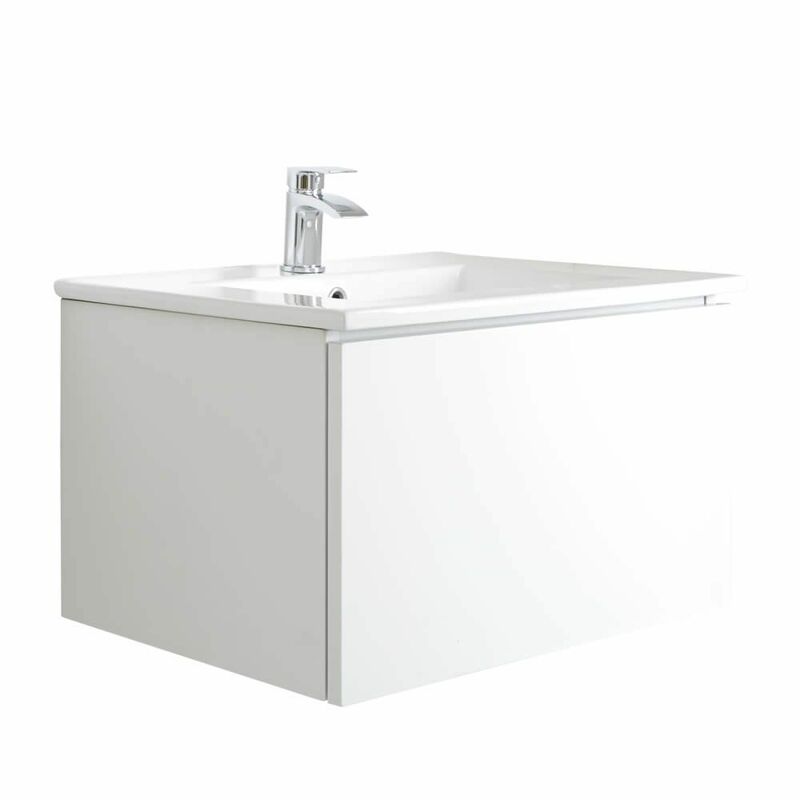 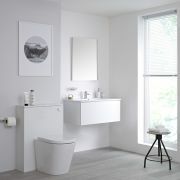 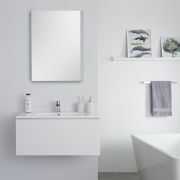 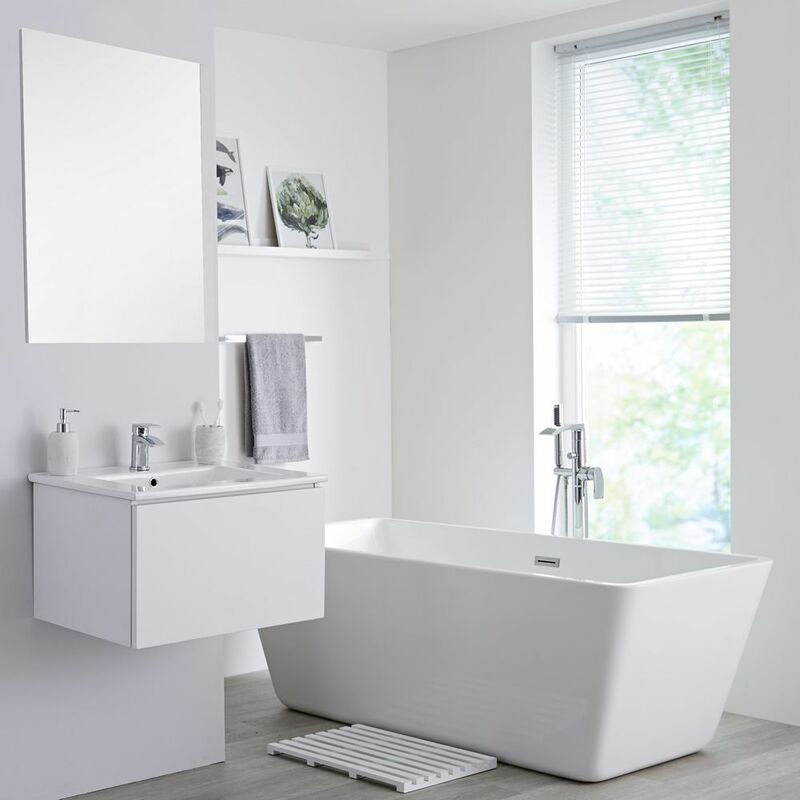 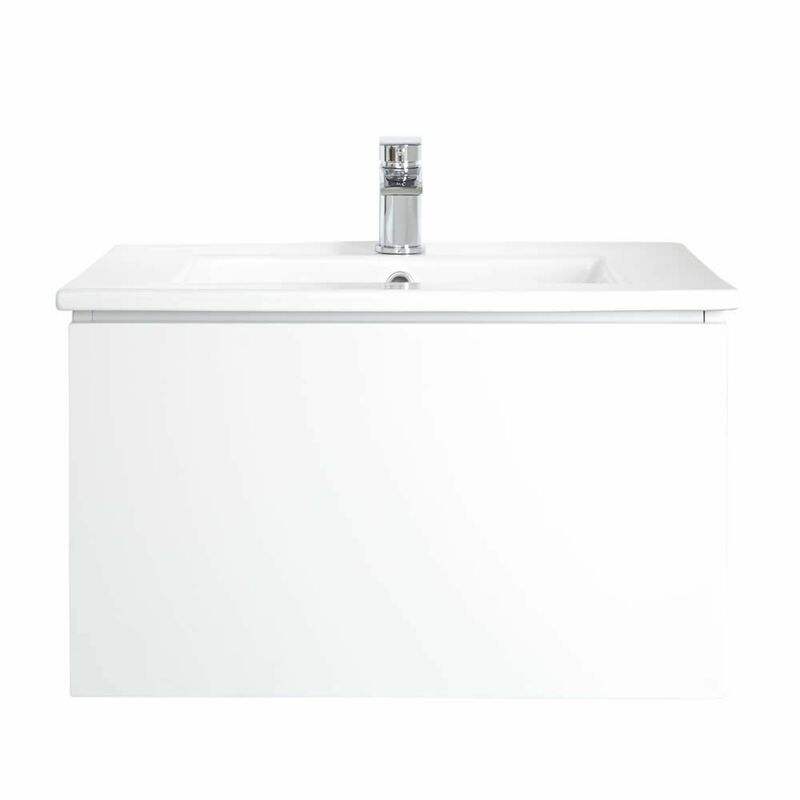 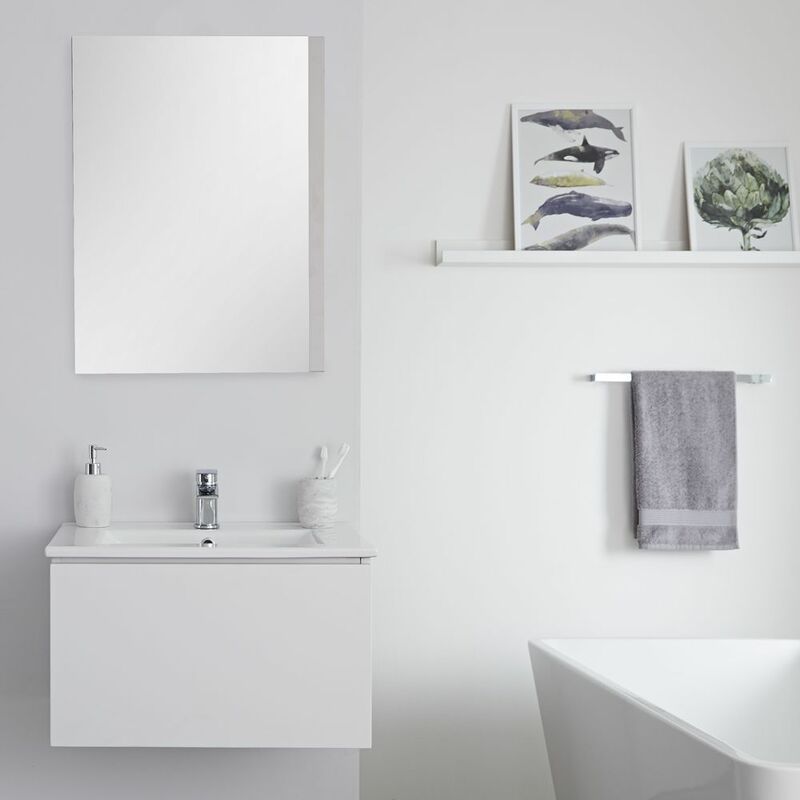 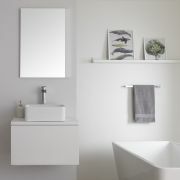 Constructed from moisture resistant engineered wood for both strength and long-lasting durability, the Oxley vanity unit has a matt white finish that is bold and clinical in appearance. 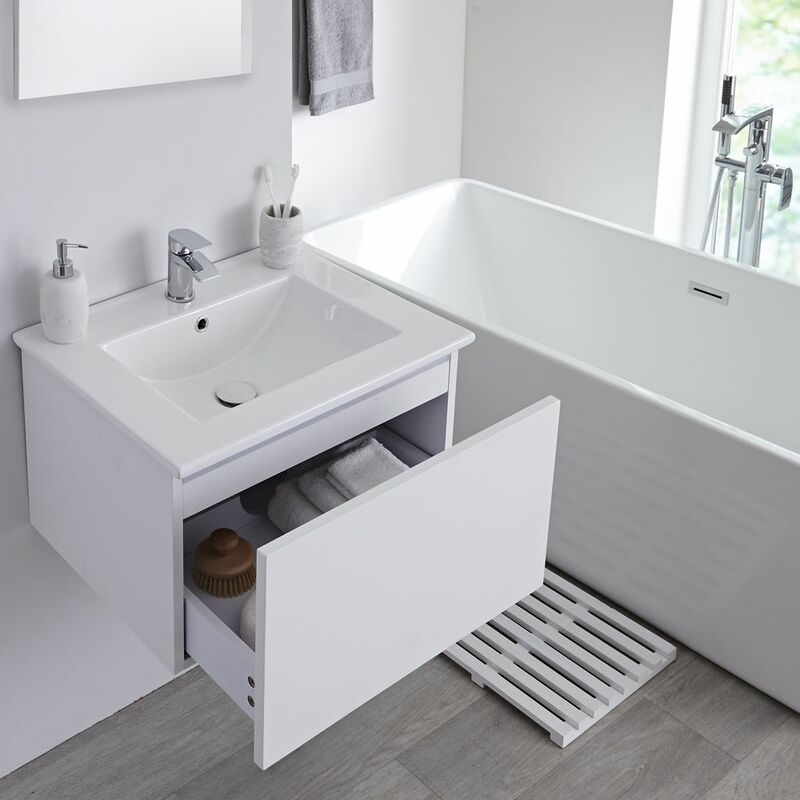 A spacious push to open soft close drawer allows you to store your bathroom essentials neatly out of sight to keep your bathroom looking tidy. 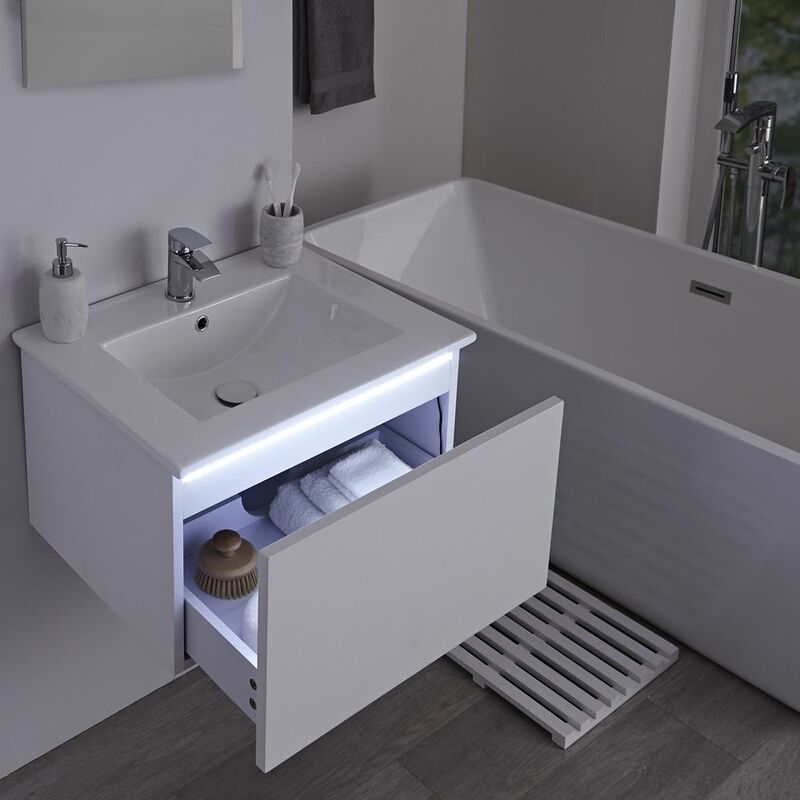 The smart basin, made from white glaze coated high quality ceramic for easy cleaning, is fitted with a single tap-hole to allow you to put your own finishing touches from our range of mono taps.